Hello there! As a bit of fun Anneli and myself are each guest blogging a Christmas in France special posting. Ive recently got to know Anneli through tweeting and blogging and not only do we both happen to be English ex-pats living in France and food bloggers but amazingly we live very near to each other in lesser known parts of very rural SW France. Were reckoning theres little over an hour between us. And even stranger that we have almost identically aged children, even in the same girl/boy order! Im so looking forward to meeting up in the flesh so to speak in the New Year. Ive been living in Haute Pyrenees for just over two years and moved here from London with my husband and two very small children (theyre now 4 and 2). Not long after our arrival I started my veggie plot, or potager as theyre known here in France, with the aim of being veggie self-sufficient one day soon. Just over a year ago I also started food blogging, recording my seasonal family friendly recipes and potager exploits, www.chezfoti.com. 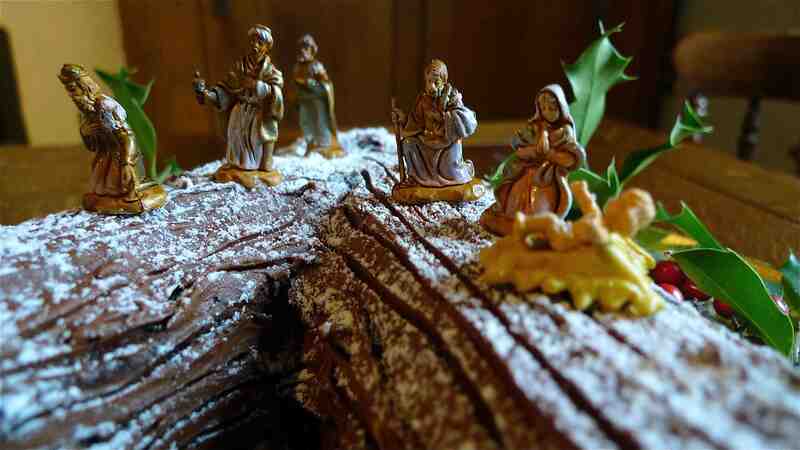 One of the most prominent Christmas foodie traditions in France is the Bûche de Noël, a chocolate Yule log traditionally served at the end of Le Reveillon, the principal Christmas feast. Le Reveillon is held very late on Christmas Eve after midnight mass. Theres huge regional variation as to the meat thats served, though around us it happens to be turkey. Theres also a good deal of foie gras, oysters, smoked salmon and various other extravagances consumed in quite a number of courses!. After the dinner fires are left burning and food and drink laid out on the table just in case the Virgin Mary bobs round. And children leave their shoes in the hearth for Pere Noel (Father Christmas) to fill with sweets and little gifts. Having researched what makes a Bûche de Noël there seems to be few rules. Anything of cake or meringue origin baked in a swiss roll tin, be it of vanilla, chocolate, coffee or chestnut flavouring, will suffice. 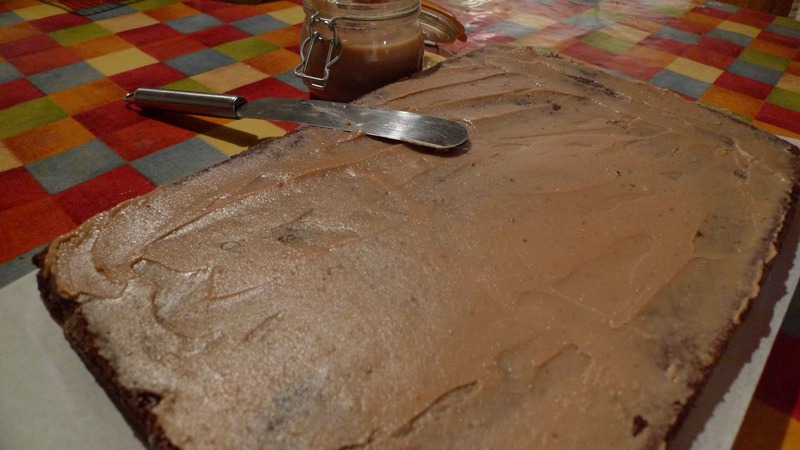 Its then spread with cream, icing or ice cream and rolled into a log shape. Then finished off with a generous coating of chocolate icing or ganache which is then textured to resemble the bark of a log before being dusted with icing sugar snow. Sometimes fresh berries and meringue mushrooms are also scattered around to resemble the forest floor. So I opted to make a deeply chocolatey and extremely light flourless cake, using a Nigella swiss roll recipe. I filled it with a sweet Chestnut Puree or Chestnut Jam as its sometimes known (here in France its easily purchasable as Confiture de Marron or Chatalgnes). Then iced with a heavenly rich chocolate icing and dusted with icing sugar. Id actually made my own Chestnut Jam a few weeks ago with chestnuts from our garden following a wonderful Pam Corbin recipe from the River Cottage Preserves book. Whilst utterly delicious the double shelling of the chestnuts was a tad more laborious than Id bargained for, especially as they can now be so easily purchased ready prepped, particularly around Christmas time. My jam was made by boiling and cooking the chestnuts before blitzing in the food processor to a puree (which is also very easily purchasable) before cooking down with sugar, honey and vanilla then at the end stirred with brandy. The resulting jam is also very easily purchasable in France (and Italy apparently) and finer food stores in the UK as Confiture de Chatalgnes or Confiture de Marron. Preheat your oven to 180 °C/Gas Mark 4. Carefully separate the yolks and whites of the eggs, placing each in separate large bowls. Whisk the whites until you have thick and stiff peaks, gradually add 50g of the sugar whilst still rapidly whisking. In the other bowl with the egg yolks, add the remaining 100g of sugar and whisk until thick and considerably paler. Fold in the cocoa powder and vanilla extract. Add a couple of dollops of the egg whites to the yolk mixture and fold thoroughly in. Then add the remaining whites in thirds, folding as lightly as you can. Pour into the cake tin and evenly spread. Bake for 20 minutes. Remove from the oven and allow to cool in the tin for a few minutes, before turning out onto another sheet of baking parchment that has been coated with a fine dusting of icing sugar. Leave to fully cool on a cooling rack. Meanwhile prep your icing. Melt the chocolate, either in bowl over simmering water or carefully in a microwave. Set aside and let it cool for a few minutes. In another bowl beat the room temperature butter until very soft and smooth. Gradually sieve in a little icing sugar and beat thoroughly between sievings. Finally beat in the cooled chocolate. Now to put it all together, and its really not as tricky as you might think!. Evenly slather the swiss roll in the Chestnut Jam/Puree, cream or icing. With the long side facing you carefully tuck in the end and start to slowly roll. Dont worry about any tears or breakages, theyll be happily covered up in icing later! Cut off an end at an angle and position both parts together on a serving plate to resemble a branch coming off the main log. Spread the entire log and ends with the chocolate icing. Now scratch into the icing with a fork or skewer to replicate the bark, not forgetting the swirly ends. Dust with a little icing sugar shaken through a sieve and decorate! Et voila, one naughty but very nice Bûche de Noël. 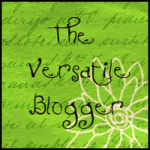 Thanks so much for letting me guest post Anneli, and so looking forward to meeting up soon! 8 Comments on "A Guest Blog by Chez Foti  Bûche de Noël"
Must be more careful in future – didn’t realise that my daughter was reading this over my shoulder… the mention of cocoa powder and chocolate in one recipe means we now have to make this at home! Sound like it might well be worth making though. Have a lovely Christmas! So so sorry for my late replies, it’s been an extremely hectic christmas and New Year at Chez Foti! 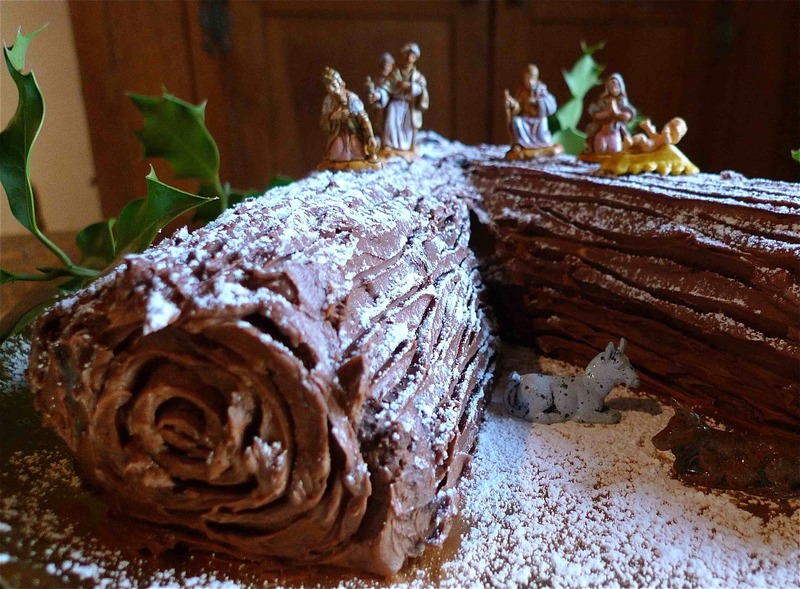 I’m reckoning a Buche de Noel would be fab at any time of the year and was certainly popular in our house. Please make Sarah, it’s gorgeously naughty! I love chocolate and chestnuts together and this is most certainly something I would love to enjoy but I have already got so much to get through, I may have to stop making puddings now. Your chestnut prep sounds like quite a task, hope you can treat yourself to some ready prepared chestnuts next time around! They work really well together don’t they. The sweet chestnut jam/puree worked perfectly to cut out a little of the sweetness of an all chocolate iced cake. I think ready prepped chestnuts at a couple of quid a bag is definitely the way to go!